The choir is fortunate to have the services of some very talented musicians. 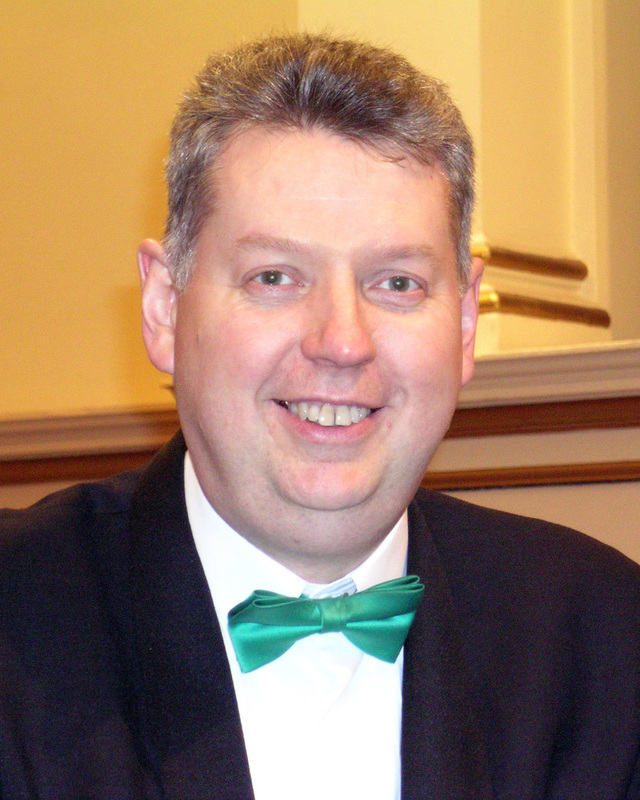 Steve brings a wealth of conducting experience to the choir, first joining Birmingham in 1979 as a chorister, swiftly becoming assistant conductor and pianist. After a 3 year gap whilst Musical Director of the Dunlop Operatic Society he returned as conductor in 1992. Steve has lived and worked all of his life in Birmingham and is married with 3 (grown up?) children. He started to learn the piano at the age of seven and was teaching the instrument to others by the age of 17. Steve’s musical career/hobby as a pianist, organist, arranger and conductor particularly of male voice choirs spans some 37 years. Steve’s interest in music spans the whole spectrum of musical styles and periods and he is particularly keen to encourage young people to make music. These ideals are often reflected in his choice of programme items and the guest artistes invited to concerts for which he is responsible. Steve has much experience of conducting massed choirs and ensembles, the biggest arguably being “conducting” the 80,000 who marched to Cannon Hill Park in support of the Rover workers in 2000 in a chorus of “You’ll Never Walk Alone”. This was the year in which he also conducted a 350 strong ensemble in Symphony Hall in celebration of Birmingham Icknield’s centenary year. He shared the conducting of the 300 strong English Association of Male Voice Choir concerts 2007 and 2008 and more recently conducted a 300 plus choir to celebrate Birmingham Icknield’s 110th anniversary concert in Symphony Hall in 2010. 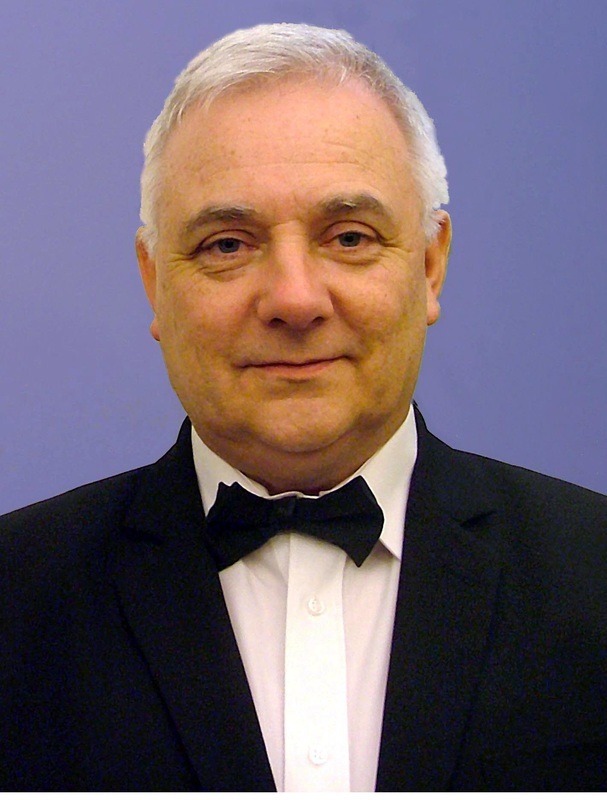 Steve is also proud to have been the musical director of a number of The Birmingham St George’s Day Association’s concerts the most recent being in 2012. Chris has been with the choir for over seven years. He grew up in Birmingham and initially learnt to play the piano and organ at the Oratory in Birmingham from the age of 11. He was a member of St Philip's Grammar School Choir for eight years, and some of the most memorable occasions were making recordings for the BBC, concert tours in France, singing for Pope Paul VI at a special audience in the Vatican, followed by concerts at St Peter's and the Oratory in Rome, plus an impromptu performance in the Vatican catacombs. After leaving school he joined a dance band playing banjelele and bass guitar (though not simultaneously!) covering many events throughout the length and breadth of the Midlands. Following this he was a member of various local bands, covering a variety of styles including rock, pop, blues, soul, country and Irish music. Chris also finds time to be a regular church organist, having played at the local parish church for over 40 years now. He is also called upon occasionally to be guest accompanist for the Half Circle Singers, whose recent achievements include Benjamin Britten’s “St Nicholas”. Clare studied percussion with Tim Williams at Liverpool University and has gone on to teach Music as a classroom and peripatetic teacher in both primary and secondary schools. 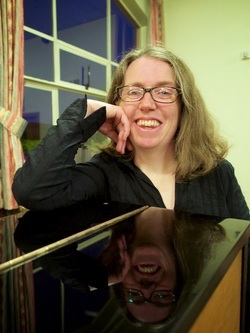 As well as appearing with the choir she also regularly plays guitar in a barn dance band “The Burntwood Bunters” performing at weddings and celebrations throughout Staffordshire and beyond. Outside interests include being a Mum to her three beautiful children and doing triathlons for charity. Recently she competed in the Staffordshire Ironman 70.3 (1.2 mile swim, 56 mile bike, 13.2 mile run) 7 ½ hours of fun!.....looking forward to her next challenge! We also have a number of choristers who play guitar, mouth organ and indeed other instruments who get roped in from time to time too.